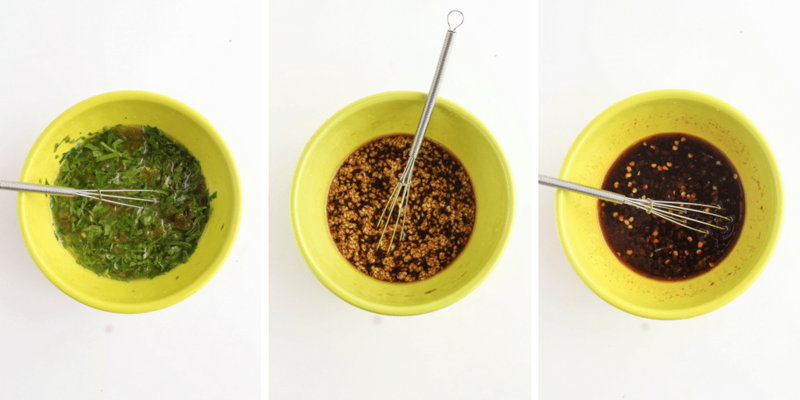 This post on easy chicken or tofu marinades was originally published back in 2013, and has received a big upgrade with new photos and extra marinade ideas, so it was time to re-share it! I hope these ideas make dinners more interesting. 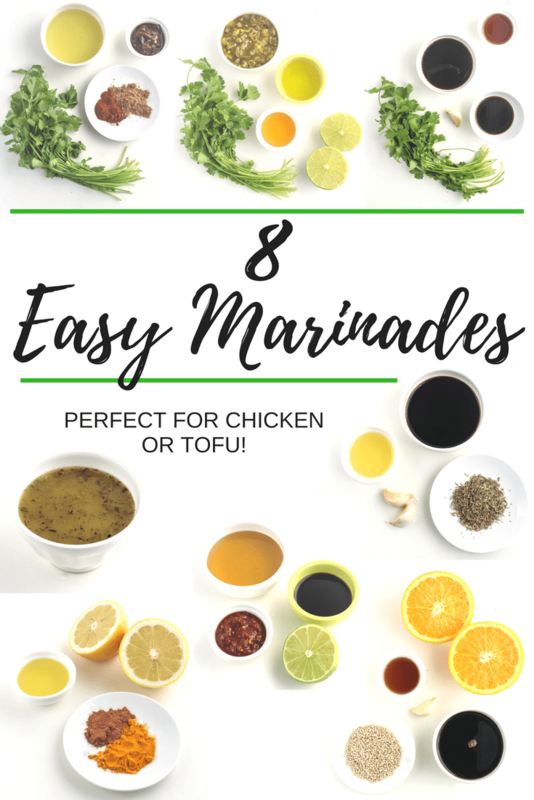 First up you’ll find the easy marinade recipes; the second part of the post includes ways to turn the marinated chicken or tofu into delicious balanced meals. Enjoy! One of my biggest pet peeves is when people think that eating healthy means eating completely plain grilled or baked chicken. Not so! Healthy food can (and should) be delicious – no need to struggle through bland meals in the name of health. 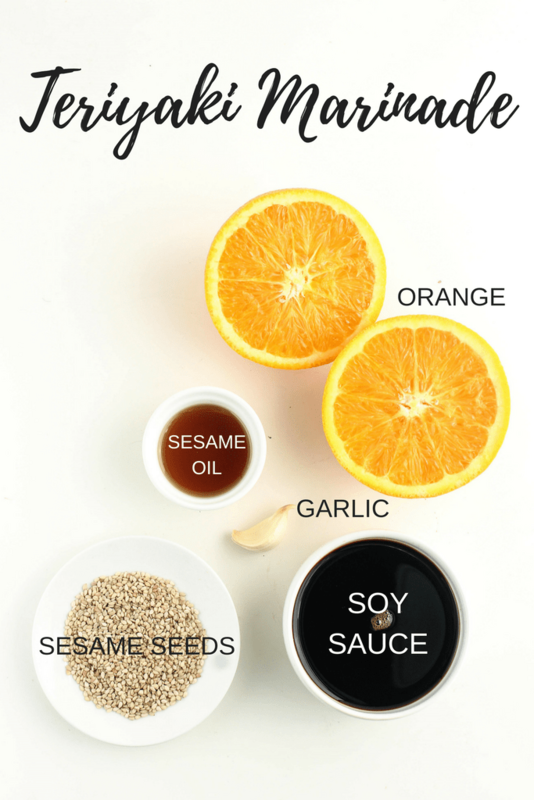 Here are some of my very favorite easy marinade recipes. They are perfect for adding tons of flavor to chicken or tofu! Marinating is one of the simplest ways to add tons of flavor to chicken and tofu – two proteins that are pretty flavorless on their own. 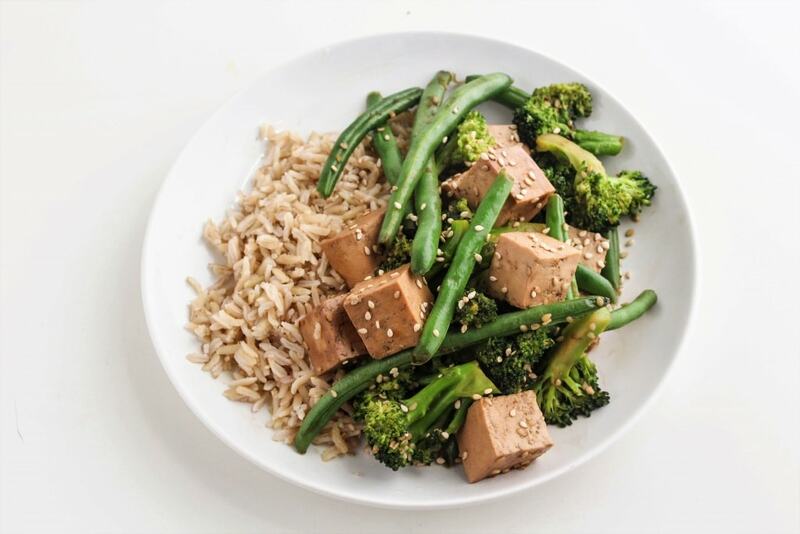 Just let the chicken or tofu soak in flavorful ingredients in the fridge, and you’re well on your way to a delicious, healthy dinner! You can marinate for as little as 30 minutes or as long as overnight. After marinating, your protein is ready to grill, saute, or bake. 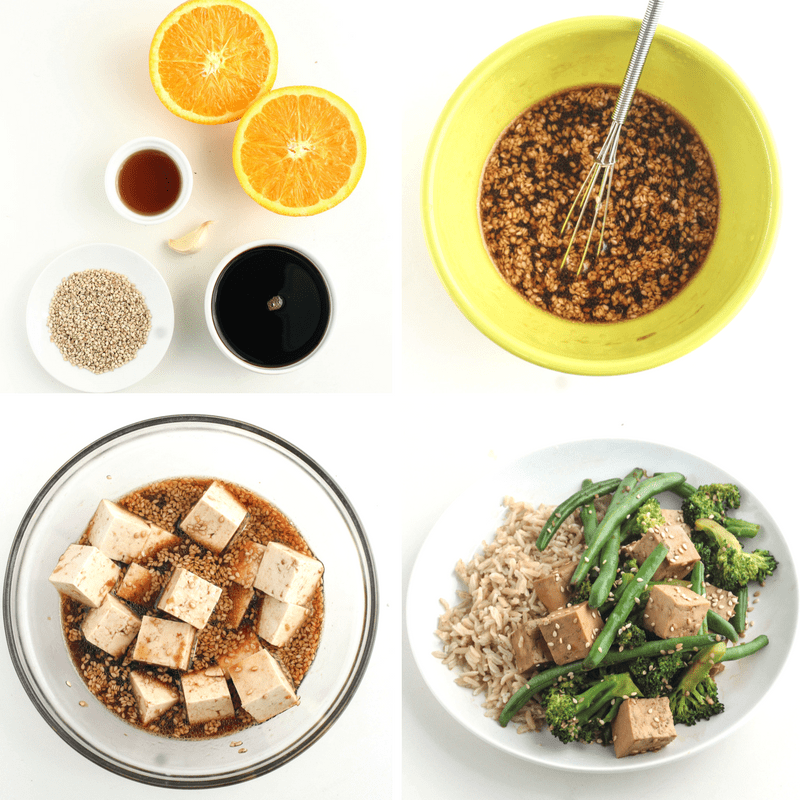 Each recipe below will marinate about 2 chicken breasts or about half a 14-oz block of tofu. Even if you’re only serving yourself, go ahead and cook both and save the extra to eat the next day! 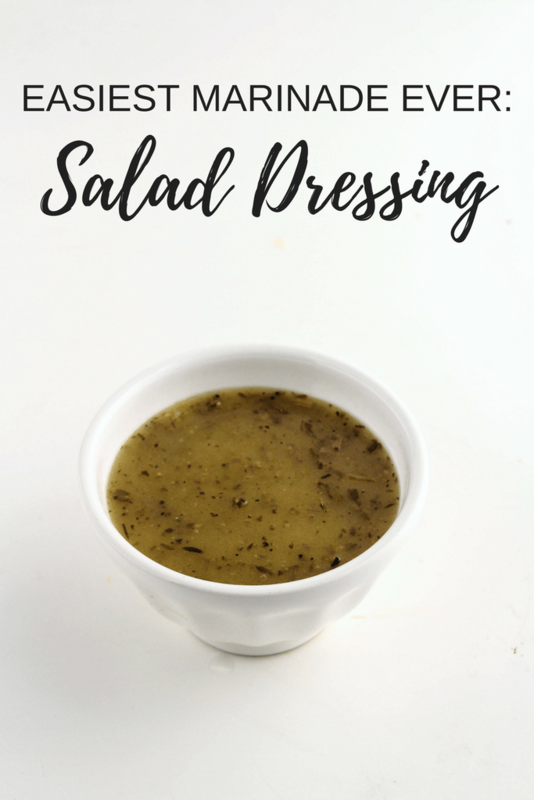 Easiest Marinade Ever: Salad Dressing! 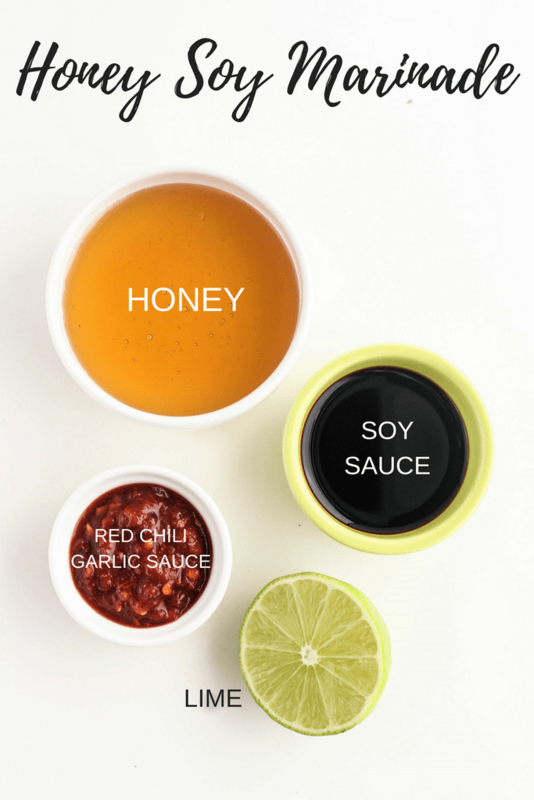 For all of these marinades, just stir together the ingredients in a bowl and then add chicken or tofu! You can either marinate in a bowl or in a large plastic bag to really massage the marinade into the chicken (stick with a bowl for tofu cubes or slices, since they’re more fragile). 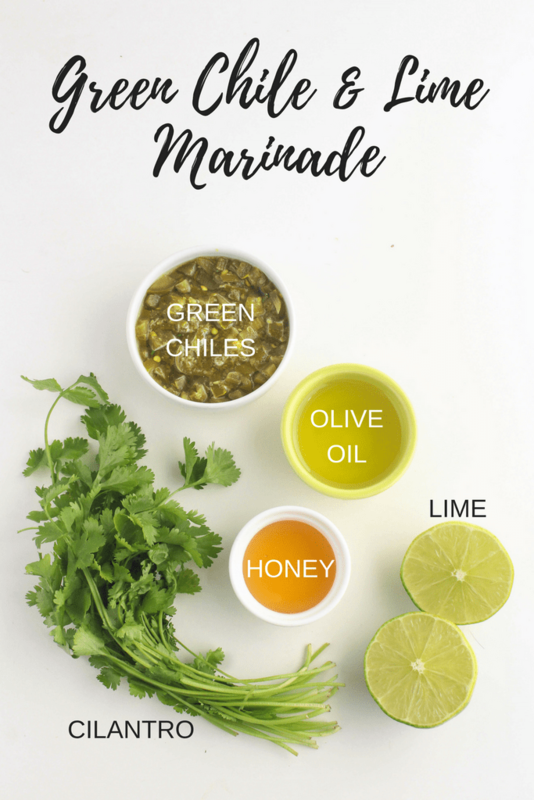 Here are some of my favorite ways to make quick meals with these easy marinade recipes! Dice half a block of tofu and marinate in the teriyaki marinade (you can get this going in the morning or the night before!). Remove the tofu from the marinade and reserve the extra marinade. Heat a large skillet over medium-high heat and add the tofu. Cook until the tofu is browned and slightly crispy, then remove the tofu and reserve on a plate. Add any veggies you have on hand to the pan and cook until tender, then add the tofu back in and pour in the remaining marinade. Cook until most of the liquid is evaporated and serve over brown rice! 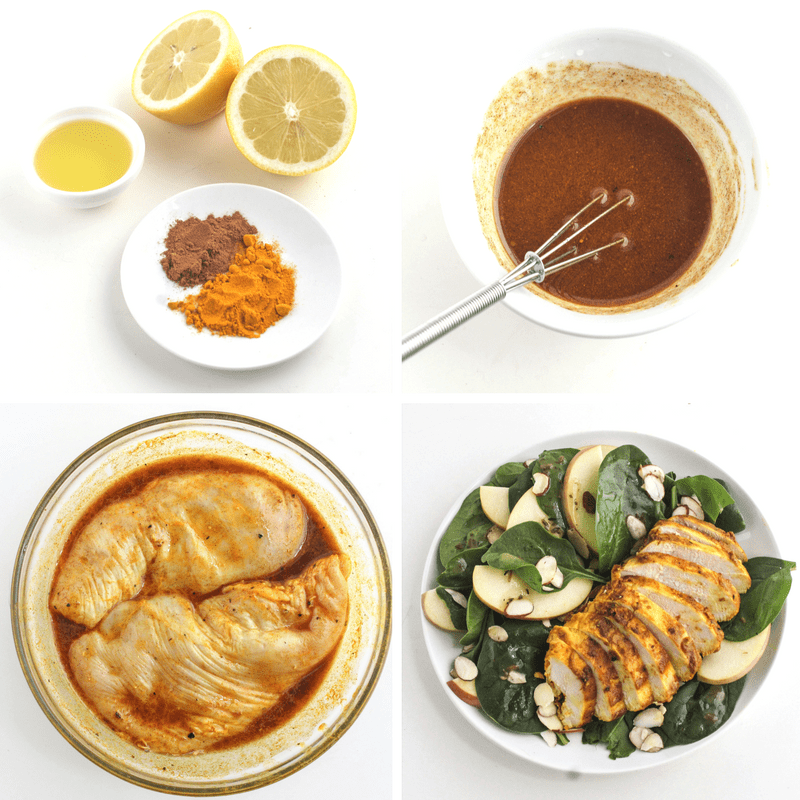 Marinate two chicken breasts in the Persian lemon marinade for 30 minutes. 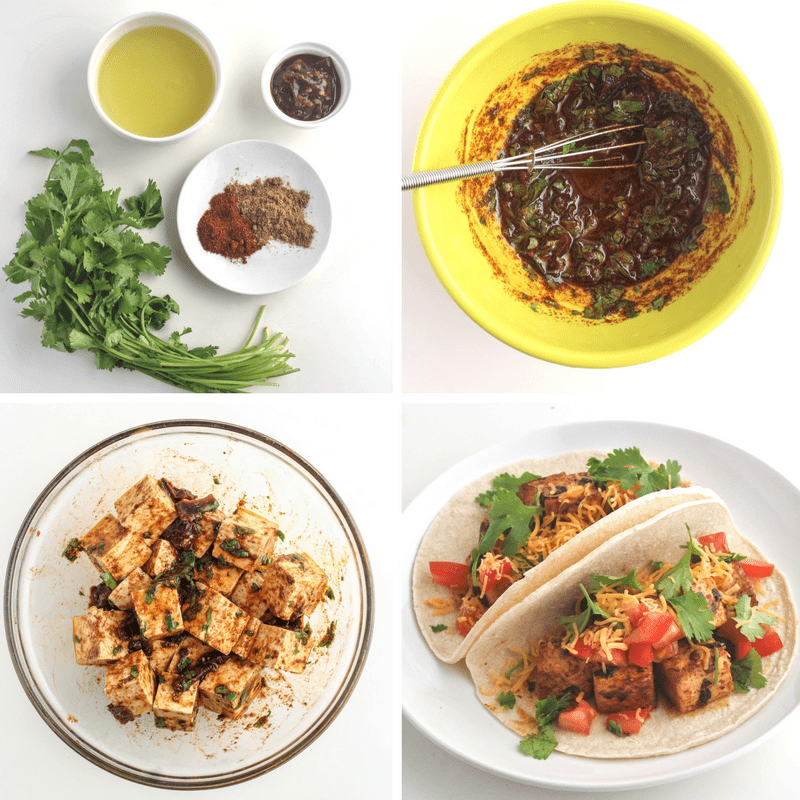 Remove the tofu from the marinade and discard any extra marinade. Place the chicken breasts on a foil-lined baking sheet and bake at 350 degrees until cooked through (about 15 minutes or so). 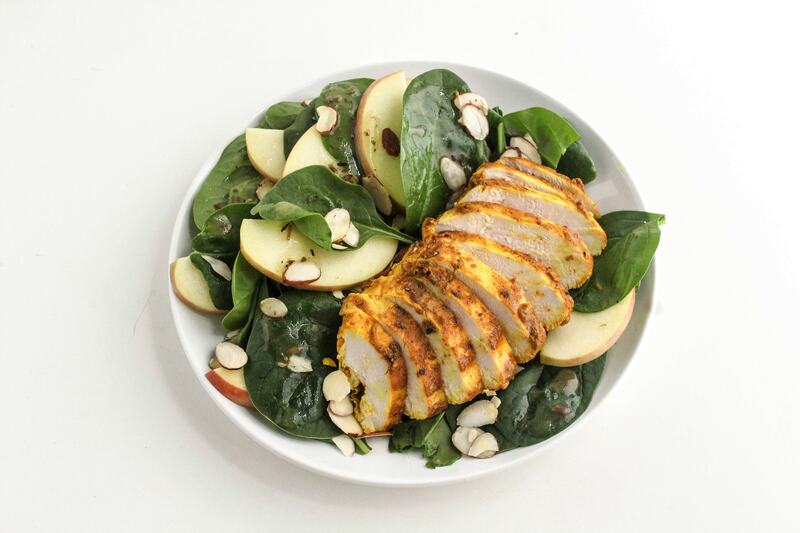 Slice and serve over spinach, sliced apples, sliced almonds, and a drizzle of oil and vinegar! Enjoy a roll on the side (or add some grains to the salad) to make this meal more filling. Dice half a block of tofu and marinate in the chipotle cilantro marinade (you can get this going in the morning or the night before!). Heat a large skillet over medium-high heat and add the tofu and all the marinade. Cook until the tofu is browned and slightly crispy. 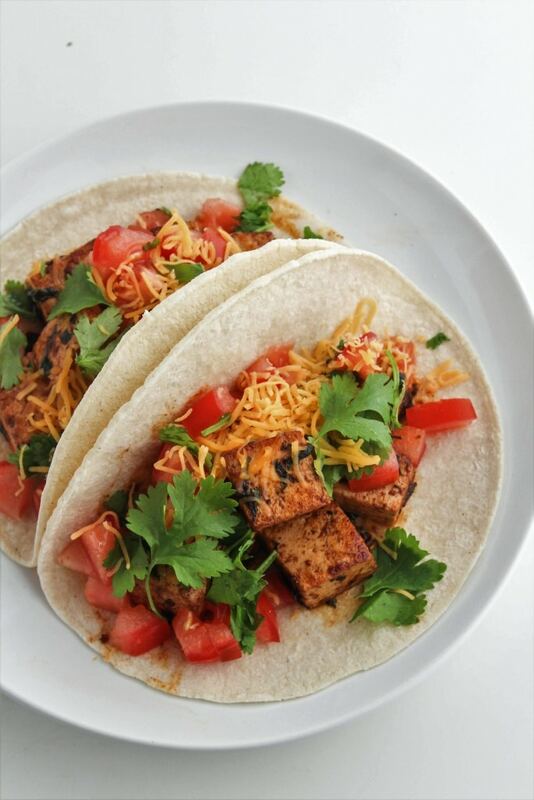 Fill corn tortillas with the tofu, diced tomatoes, cheese, cabbage, cilantro – whatever your favorite taco toppings are! 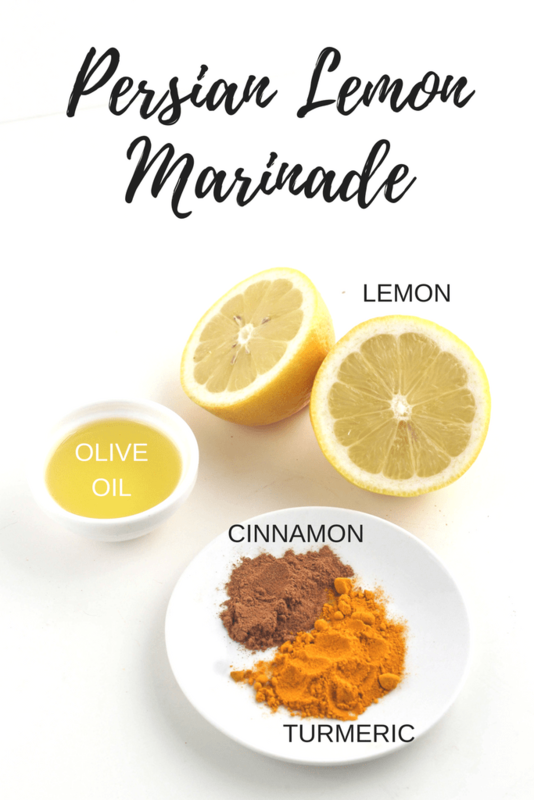 What’s your favorite marinade recipe? thai grilled chicken is only 1 1/2 tbsp. liquid- that’s really enough for 2 chicken breasts?!? This looks great! Thanks for sharing! If it’s nice outside this weekend I’ll see if I can do a BBQ with a few of these. Safe travels and see you next weekend. Ack! It’s June in a few days! These are great! I’m always looking for new marinades to try. I love a good chicken marinade. Another awesome one is tequila, lime zest and juice, olive oil and some salt and pepper. Delish!! These all sound yummy! Must give them a try!! I’m a big fan of using OJ as a marinade base. Add a little olive oil, any type of vinegar, spices, and it’s good to go. 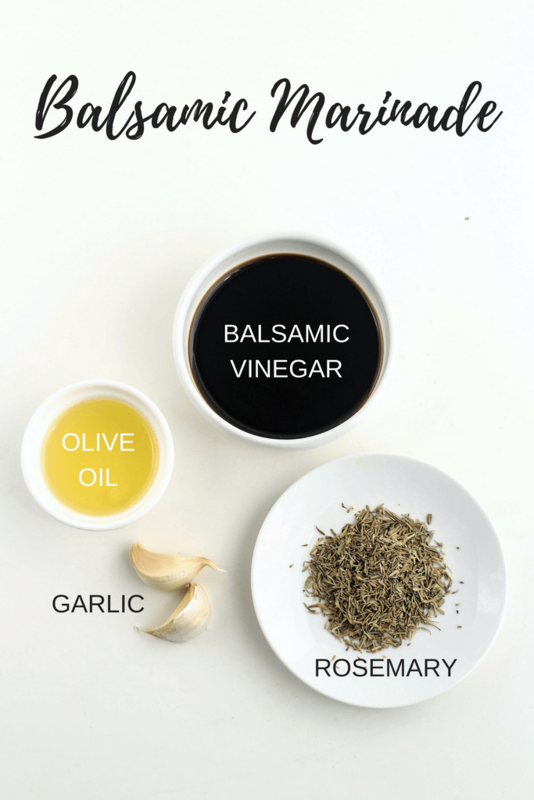 Some great ideas there for marinades! I like sweet and sour where you use soy sauce, tomato sauce, apple cider vinegar, garlic and some stevia it makes it really nice but these I’ll have to give a try too. P.S. Our granddaughter graduated High School last night. Can’t believe it. 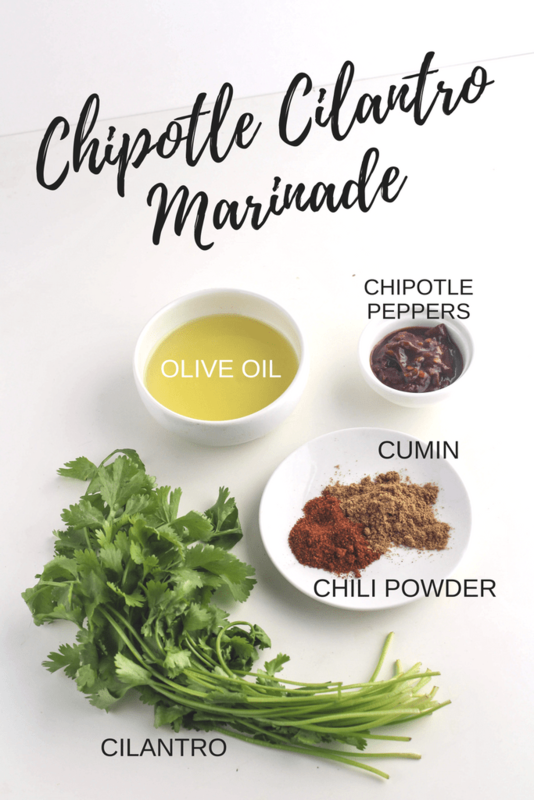 I love the Persian Chicken marinade idea. It has some of my favorite flavors. I love a touch of cinnamon in savory dishes. The Persian marinade looks intriguing. I love marinated tofu. I usually bake it so it has a firmer texture so I can add it to salads or serve with veggies and a side of grains. Anne’s good day.I adore chickens under every figure,grilled, pickled, baked,and the most wing from honey and curry.Proud .I will make is some of Your recipes,surely. Just tried the Thai marinade with tofu and it was tasty. 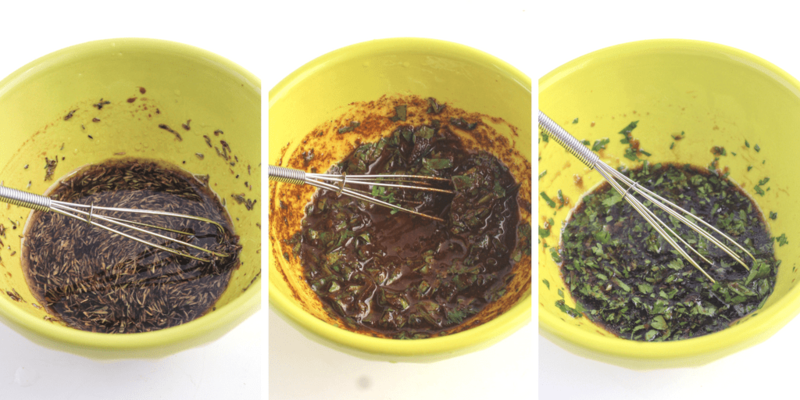 Thanks for the easy marinade ideas! I really need to start marinating our meats more. These all look and sound amazing!! I love the way you photographed each – so pretty and creative! 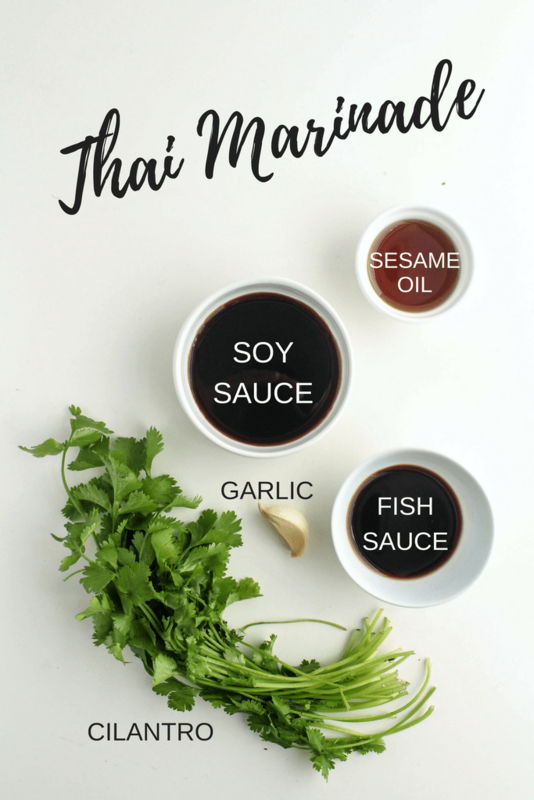 Let me know if you try any of the marinades! It really makes the meat more flavorful (and tender/juicy, too). Yum! These would be great chicken marinades too!